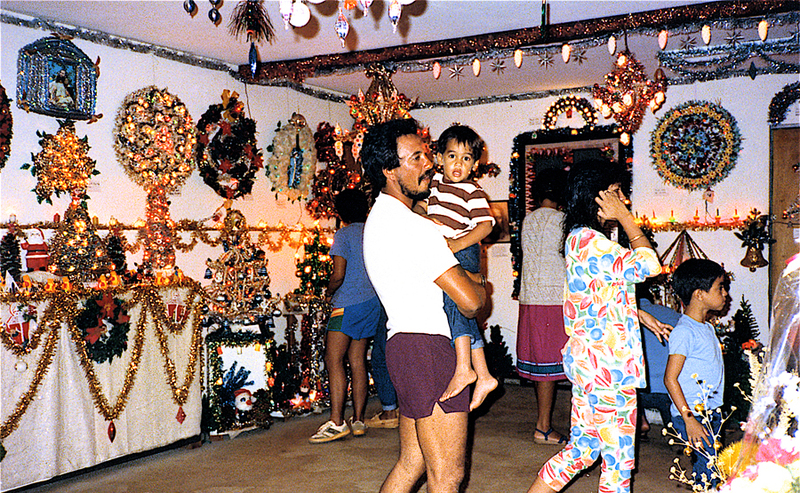 For 18 years Auntie Josie Chansky turned her Kapa’a home into a Holiday Wonderland. What made her house so special was that Josie knew how to turn “trash into treasure”, creating her glorious Folk Art out of what most people throw away…toothpicks, styrofoam cups, flash cubes, bottle caps, egg cartons and more. Lovingly known as “The Christmas House”, it became a Holiday tradition for generations of families. For years her installation was an annual event that locals and visitors enjoyed.